I’m looking for a very low budget color EQ plugin. Any suggestions? I do 90% metal related stuff. Saturation wise I already have the Fabfilter Saturn, so for now I don’t need more saturation plugins, thats why I’m looking for 1 color eq to have at least something. I also have the Fabfilter Q2, but I guess this is not ideal for coloring ??? You will no doubt get LOTS of opinions on this question - here’s a few I use. SoundToys Sie-Q is another absolute favorite, but unfortunately not on sale ATM. (It was FREE when it first came out. Another vote for this one. Oh yeah, I hate the Waves installation/update stuff. Sorry, I should have mentioned that. 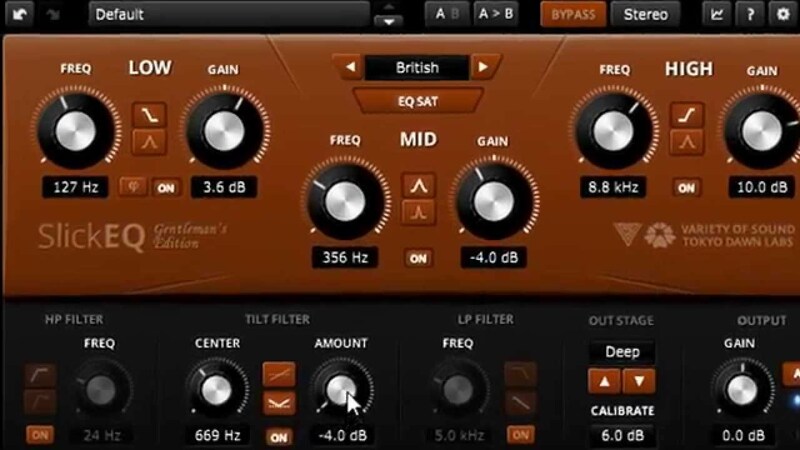 Do you have a mix of v9 and v10 Waves plugins? I think that’s what gets me every time. I refuse to pay their “WUP” BS. I just bought this (73) and the J37 tape thingy… haven’t even installed them yet, too busy with other peoples projects… on here. Honestly, I would avoid looking for colored eq plugins. I love using logic’s plain ole’ channel eq. It is so powerful. If you need something more colored record a more colored source. But I don’t have anything more then a line6 ux2 atm to record just my guitar and voice. I sometimes miss something in my sound, that I can’t get with just tweaking my amp and mic placement. If I had a decent signal chain in front of my computer, I guess I would do it all there, at least for the source. I could still see the benefit for these eq’s for group tracks, no ? Couldn’t the Scheps Omni Channel cover most if not all the ground that the Scheps 73 does? Since they’re in the same Signature line, I wouldn’t be surprised if there are some similarities in functions. And the OC lets you use just the modules you want. Good point. I’ve had the Scheps 73 for a while and use it often. I picked up the OC more recently and found it a bit CPU heavy for my cruddy little laptop, so I haven’t used it much at all. I keep meaning to go back to it and try again, but I just haven’t yet. I wonder how many of the plugin companies just regurgitate the same algorithms, put a new UI on them, and package it as a NEW plugin? That would be a great Boz question. I’d guess it relates to degree of complexity, linking established algorithms together in creative ways. The fundamentals of EQ, compression, reverb, and delay, as well as saturation perhaps, have been know for a long time. But dynamic EQ, and emulating old hardware characteristics probably involves more complex chains of algorithms. It would make sense that once they develop the Signature lines (likes Waves is especially known for) they would use similar programming across the line. well, it depends on what you mean by that. You can have two plugins that have the same algorithm, but with different settings and in a different package do wildly different things. Technically, a synth is just some tone generators and filters and such, but the way it’s packaged makes a huge difference in what can be done with it. A house is just studs, copper wire and some drywall, but the way in which it’s packaged can make a pretty big difference. In the same sense, you can have a good song or a lame song with the same chord progression. When making a plugin, the algorithm is usually the easiest part (big stress on the word ‘usually’). The hardest part of making a plugin is packaging it up in a way that people can make use of it. I’d say that, depending on the plugin, may 5% of the time is spent making new algorithms, and 95% of the time is spent trying to make it usable. You can have two plugins that have the same algorithm, but with different settings and in a different package do wildly different things. I suppose that is overly-simplistic, huh? I guess I was thinking of all the loads of EQs by a big company like Waves, and specifically the Scheps in this case. The EQ, PRE and Input/Output sections have a LOT of similarities. The EQ, PRE and Input/Output sections have a LOT of similarities. Yeah, I wouldn’t expect them to change up any of that stuff. It’s an EQ. Aside from a few things that you can do to make them a bit better, EQs are pretty much textbook algorithms. I’ve looked at tons of EQs, both hardware and software, and they can pretty much all be replicated by the same algorithm.